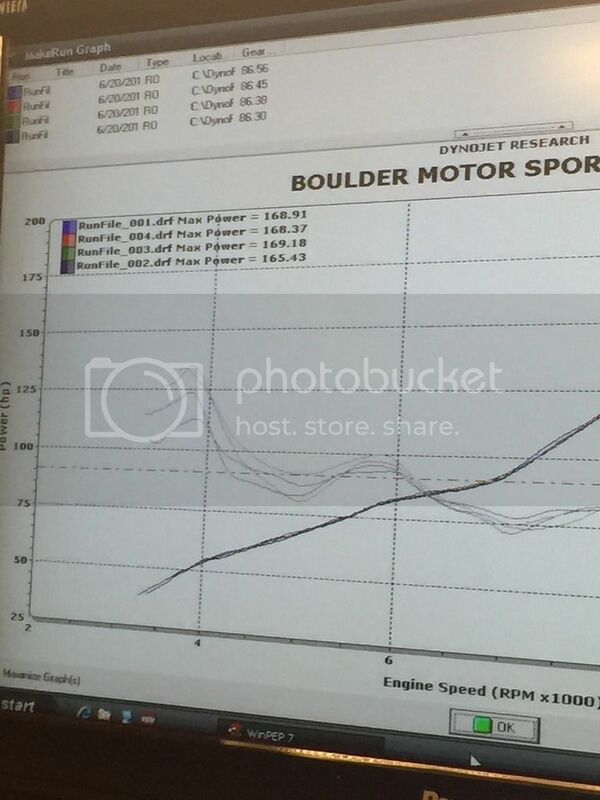 Had my bike on the BMS dyno over the weekend. I can't say enough about the folks at BMS. What a top notch and professional group! Customer service is beyond my expectations! I have the following mods: RB Race Module, Front Exit Termi Slip-ons, pipercross air filter. No Up-Map no ECU Tune. I disconnected the RB Race module so I could get a baseline dyno number and after running the RB Module for a month I know how hard the bike hits above 5k with the unit! Yaman has been central to getting the high-altitude tuning complete and I owe him a debt of gratitude for the personalized support! Anyway, on to the data! 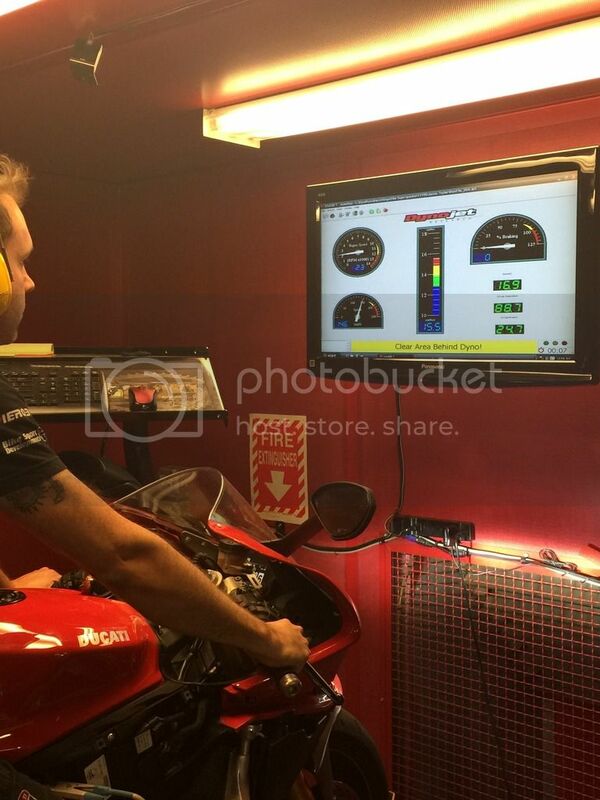 The Panigale put down 169.18 HP and 84.76 LB. Ft. of Torque. Which ain't bad at 5200 Ft. MSL. I'll add re-connect the RB and re-dyno in the coming months. I'm sure I'll be well over the baseline and have better fueling at low speeds than currently. Many other bikes at altitude are only at 170-174 HP with thinner head gaskets etc. Correct me if I am wrong but I always thought that dynos compensate for your altitude and should give the same reading at any altitude due to the compensation? 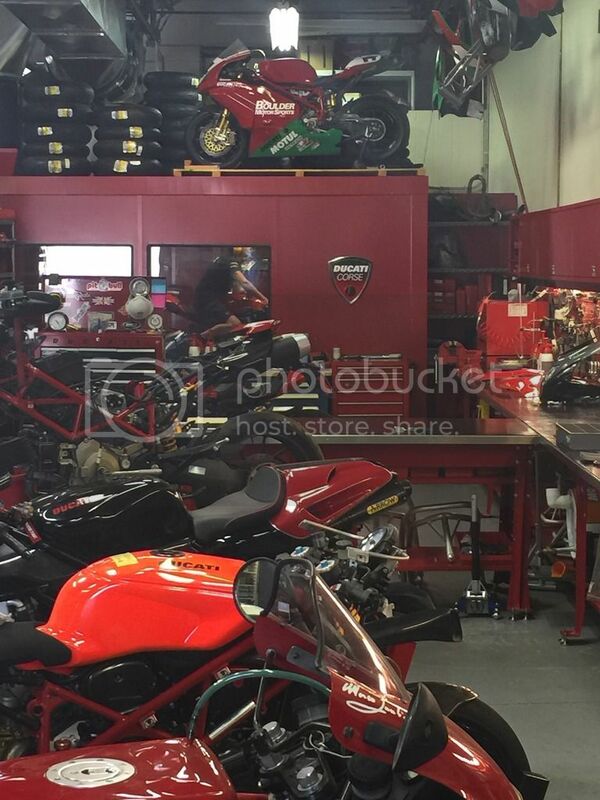 Dynos are much better for direct comparison in other words you put two (or more) bikes right after one another on the dyno and then compare it. SAE HP numbers are corrected for atmospheric conditions. STD numbers are not. I don't know whether the DIN number adjusts for conditions. 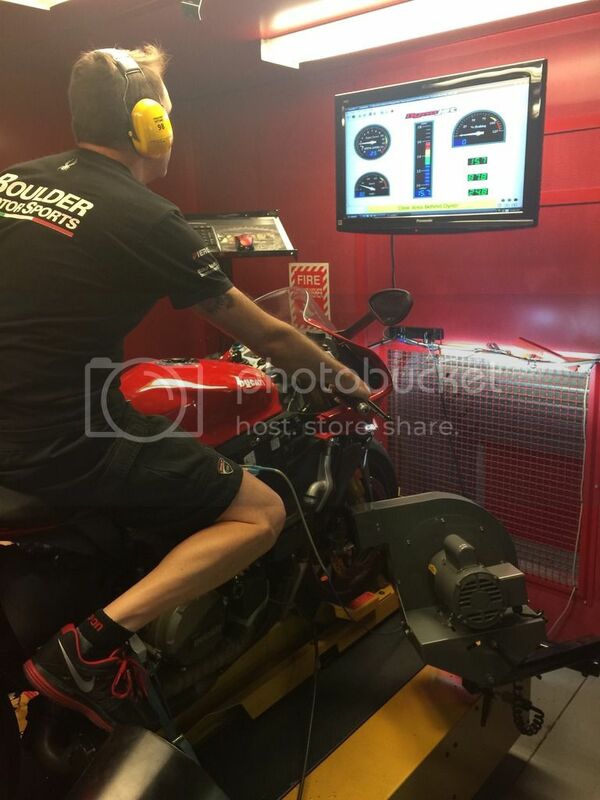 its nice that this dyno seems to be indoors so they can regulate the temp and humidity (that will effect some readings) so maybe this will be a good base since the the variable will mostly be the bike itself and not the dyno. What kind of numbers are you getting? I would love to see the comparisons as well. I did get a peek of a few bikes as I mentioned previously that are not much higher in HP output than I sit at the moment. I think the biggest issue is cleaning up the low speed richness that the RB module will help address. There is the "hole" in the torque curve that the Termi's helped create, but they are certainly a huge benefit to overall power output as well. This is gonna be a fun summer of fiddling with maps and mods. Overall I am happy. In 195 HI mode this bike roars! With the RB module it is scary fast! What happened with RB hooked up? Haven't dynoed with the RB yet.